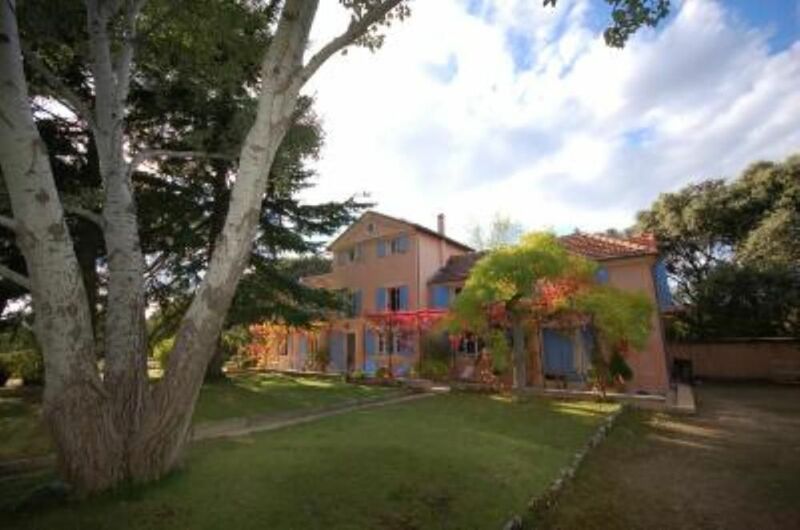 ideally located between Nîmes, Montpellier, the sea and Duché d'Uzès,in the heart of 6000 m2 of garden whith old trees, cedars, olive trees and a vineyard, whith a private tennis and swimming pool (9X4),near medieval town of Sommières where Laurence Durrel spent his last twenty years.Totally renewed in 2002. Nice decoration with vintage furniture mixed with more contemporary. Housekeeping twice a week included. Internet free. take the highway A9,go off at exit 27 "Lunel" then go on to Sommières and Villevieille. Restaurants nearby, bikes free at your disposal, all outdoor sports and the sea nearby. 4 heures de ménage par semaine sont offertes pendant la location ainsi que l'entretien de la piscine par un professionnel.